Technology is one of the greatest wonders of the world we live in. As more and more time passes, technology continues to evolve and improve. Technology is changing and the world is changing along with it. Drone Delivery Service is coming worldwide in the future. Amazon is on top of trying to bring the service to life, with hopes of being able to deliver a package within 30 minutes of you ordering it. Germany’s Post Office beat Amazon to the punch and as of December 2014, France’s La Post has incorporated a drone delivery service that’ll deliver within 12 minutes in any and all weather conditions. 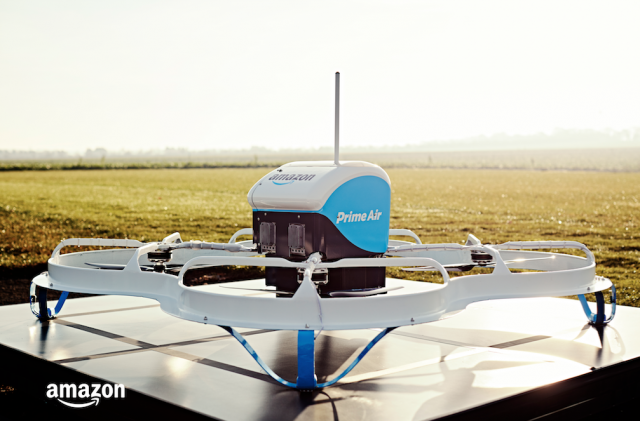 Eventually, deliveries by means of drones will become a worldwide norm. In the future, there will be generations that don’t even know deliveries were originally all done by hand. There are a lot of benefits to our impending futuristic delivery service, such as the impact it would have on our environment. More drones mean less delivery trucks and fewer trucks means less gas and exhaust emissions, which is exactly what our world needs. When Amazon introduced two-day delivery, people ate it up and fell in love. Turning a two-day delivery into a 30-minute delivery will ensure that people are satisfied and content with their service. Not to mention the convenience it would bring to people who are injured and disabled. Groceries and medicine can be delivered directly to their door in an astounding amount of time and they’ll get to stay as comfortable as possible. Along with the benefits of drone delivery service, there are also a handful of consequences. First and foremost, while drones are better for the environment, they will more than likely be responsible for taking delivery jobs away from working people. Delivery workers also have the ability to leave packages in mailboxes or with doormen, whereas drones will not. Overall, it’s safe to say that companies implementing a drone delivery service will make a huge impact on the world we live in and will directly affect how people order their goods.